I love television, pretty much if I am home then the TV is on. Tjis why I am so concerned that television is on the blink. Not my personal television but the primetime programs offered by Australia's free to air channels. 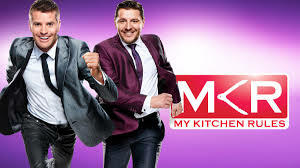 My Kitchen Rules is back on television, according to the media releases and commercials it is a brand new season. The faces have changed slightly , maybe, but it is exactly the same. Couples that fit into the set stereo types; gay couple, best friends, hipsters, “ethnic”, old, bogan, rich, are all cooking in their home restaurants which are neither their home nor a restaurant. Each night the cooks still get surprised and panicky when Peter and Manu arrive. There is a massive clock on the wall telling everyone how much time till dinner and they arrive EVERY episode, exactly the same way they have arrived in every episode in every season. The only thing more predictable is the sniping between the couples in ways that match their producer-assigned stereo type. Regardless of how good the food was or the dining journey everyone now gives each other low scores because they are all voting “strategically” to keep themselves in the competition. Because they want to win… What do they win? An apron? 5 minutes with Kochie on Sunrise? It’s not as job a chef. 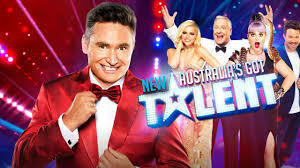 Having snaffled Australia’s Got Talent, David Hughes hosts a show that’s greatest moments of entertainment are the acts that ironically have very little talent. People will astound audiences, according to the commercials with their unlikely ability to actually sing in tune, or the magic trick works. Whilst some of the stars only talent, according to recent employment is judging other people as they compete in “shiny floor shows”, David Hughes is a very talented comic and Eddie Perfect is a highly accomplished writer, composer, singer and actor. Another great irony of this show is that the people with the most talent will not be required to demonstrate any in their roles. Ultimately it will be the people with the most interesting and emotional backstory (in the opinion of the producers) that make it through the early rounds and it will be the most attractive act that wins. He contestants will win… some money? The cover of a magazine affiliated with Channel 9? 5 minutes with Richard Wilkins on Today? I’m a Celebrity Get me Out of Here” a show where blatant sexual innuendo towards each other and patronising the celebrities are the only rolse of the hosts and where people whose once thriving careers in sport and entertainment is well past its peak get their names and faces back into the public consciousness. Some of the 2016 celebrities careers are still strong even if they are not household names, whilst others left their fellow cast and home audiences scratching their heads asking who are they? Thank god for Google. This is also a possible “prize” for a winner of either My Kitchen Rules or Australia’s Got Talent if they have the slightest hint of personality. Then they may get a second 15 minutes of fame eating pureed rats and spiders. Thank god for Netflix. Time to chill.